There are many reasons to hide your IP address, ranging from your ensuring your personal security online to accessing content that may be blocked or restricted. Every time you visit a website on your iPhone, you leave behind traces of your personal information. Your IP address is one of these pieces of information, and it can be used to track your online activities and preferences. This information is regularly sold to third parties, for marketing as well as more nefarious purposes. If you want to hide your IP address, there’s no way around it: you need to pay for some sort of VPN service. There is no such thing as a free VPN–VPNs, by definition, are personal, and these services provide every user with the same address–one of the reasons why Netflix caught onto these services so quickly and changed their own service accordingly. 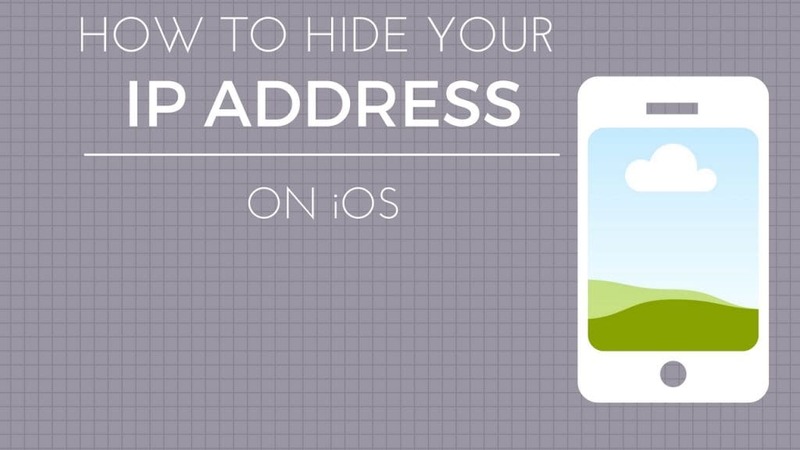 Hiding your IP address requires the use of a VPN (Virtual Private Network). A VPN will make your actual location untraceable. While you might be thinking, “Hey, I have nothing to hide!” remember that, at some point, you’ve most likely given out your credit card information, bank account number, and other sensitive information (perhaps when making a purchase online). Unless you regularly perform total wipes of the information on your phone (highly unlikely), this information is stored within your mobile device. Even though your phone is better-encrypted than, say, a computer at the public library, savvy hackers and other devious snoopers can find plenty of information you don’t want them to have. There are several qualities you should seek in a VPN: the speed is obviously an important factor for your own convenience and enjoyment, but access to a wide variety of regions is a crucial factor if your aim is to access blocked content. Some Internet Service Providers and even mobile networks look down on peer-to-peer sharing, even when the media in question are not copyrighted or illegal in any way. Chances are, if you download a lot of information regularly, you know the pain of having your bandwith “squeezed” by your ISP or phone company. If you have any sort of “for your eyes only” material on your iPhone, you need to protect it from getting into the wrong hands. One aspect that many mobile users neglect to think of is their search history–nearly every search engine logs this data. You’ve probably noticed that products you’ve searched for will often show up in advertisements “coincidentally”, a day or two after you’ve searched for them. Suffice it to say that nearly everybody has at least a few reasons to hide their IP address, even if they truly believe they’ve got nothing to hide. Using a VPN ensures not only the freedom of your internet browsing and downloads, as well as the safety of your phone’s files, contacts, and sensitive personal information. Many other apps require extensive configuration to tailor them to your specific browsing needs. Thankfully, NordVPN makes the VPN process a lot easier–starting with the ease of installing and setting up the app on your iPhone. Another feature that we were only able to find from NordVPN is the simplicity of its server-changing process. As you might know from other–especially “free”–VPNs, it often takes an irritatingly long time to switch from server to server, or even to switch to another server within the same country. By contrast, NordVPN only takes around ten seconds to switch to one of their numerous servers around the globe. If you ever browse the deep web on your iPhone via a browser such as Tor, you know the necessity of having a fast VPN; the wrong VPN can make your browsing experience uncomfortably close to the dial-up era of the late 1990s (sorry if that reference made you think of that awful dial tone). 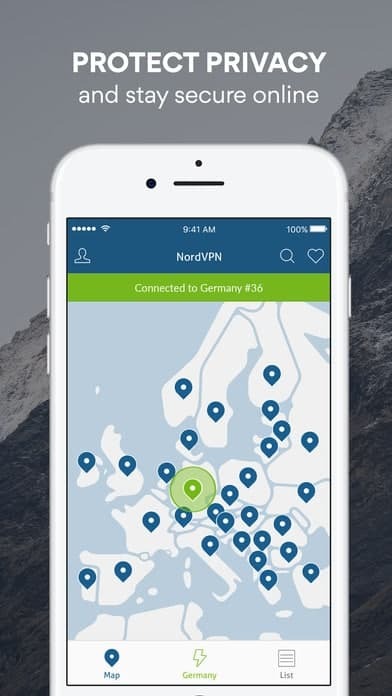 All in all, those are the reasons that we’ve found NordVPN to be the best way to change your IP address on an iPhone. With loads of features, a reasonable price-tag, and the biggest range of servers, it’s easy to see why NordVPN is one of the most popular VPNs, even in the ever-changing world of internet-ready platforms. If you have any questions about NordVPN, or about the complexities of keeping your information safe while you’re online, email us or let us know in the comment section. Happy browsing! Click here or on the image to the right to visit the NordVPN site and download their app!